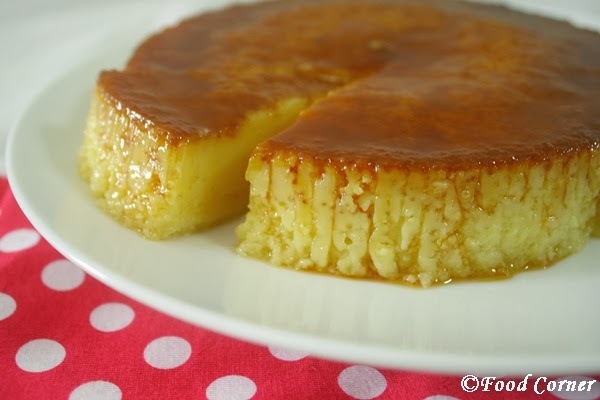 Caramel Pudding is a very popular dessert in Sri Lanka. But, it is not purely Sri Lankan. 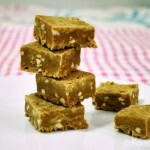 This is an easy dessert popular among most people around the world. 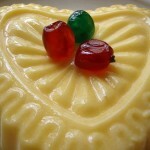 Even it has different names like cream Caramel, Caramel Flan, Custard Pudding or Caramel Pudding. I’ve seen a lot of recipes for Caramel Pudding. 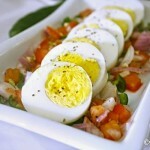 Most recipes require 5 eggs for the same ingredients and quantities. 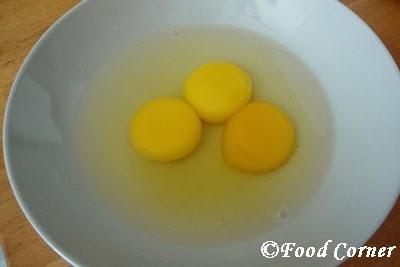 However, I used only 3 eggs, also I didn’t use water. 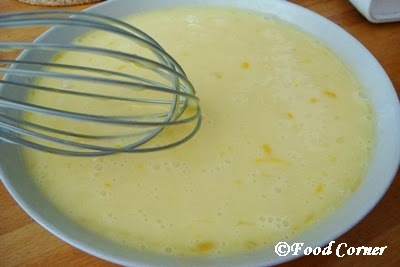 For the custard, I added sugar, you can remove it if it is too sweet. Anyway I am not a big fan of sweet treats. Still I didn’t feel this pudding is too sweet. I really don’t like to try desserts when I feel that I have to wash a lot of utensils or when I am unsure of achieving the best appearance and taste. 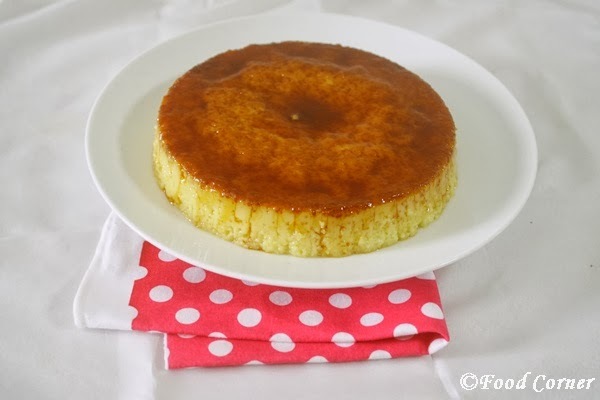 For the below recipe, I am sure even a kid can achieve a good tasting Caramel Pudding without much effort. 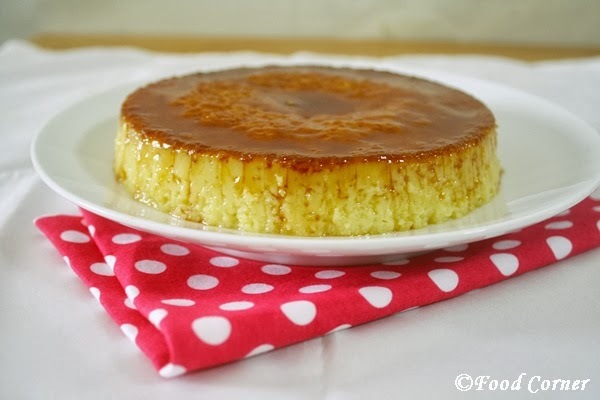 Caramel Pudding can be made in oven or even in a microwave. But I want to share the method with steamer. This is really easy. No fail. And almost all have a steamer in their kitchen. 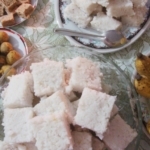 I know there are lot of Food Corner fans who are males work outside Sri Lanka and away from the family. They are with least gadgets in the kitchen as their aim is to go back to Sri Lanka after few years of working. This recipe may be a good treat for them. Even if you don’t have a steamer, still there is a method. Read the notes at the end of the recipe. 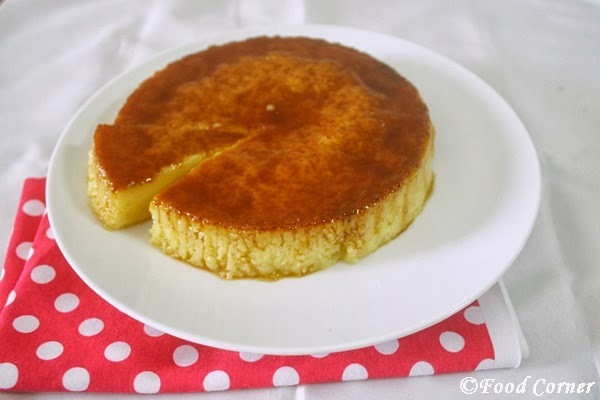 Now here is the recipe for Caramel Pudding, the Sri Lankan Style! 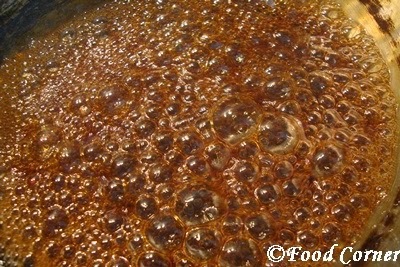 Combine sugar and water in a saucepan and heat it.Keep watching and swirl until sugar is melted. When it is dark brown turn off the heat.Remember,not to heat much as it will cause the caramel bitter in taste.Remove from heat when it is brown.Also no need to use a spoon and stir. 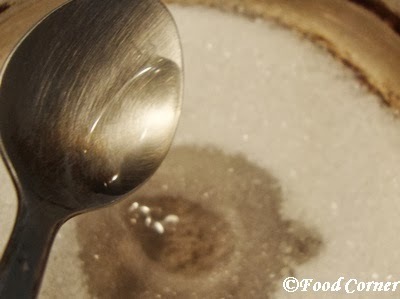 Just tilt the pan and mix sugar.If you use a spoon,sugar will recrystallize and will be sticky on the spoon. 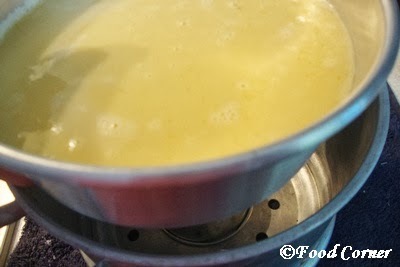 Step 2:Make the custard fillingBefore making the custard,pour water into the pot of steamer.Allow to boil water till we prepare the mix. 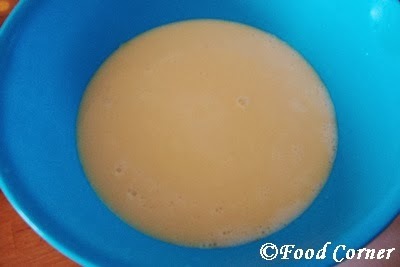 In a bowl, lightly beat the eggs until combined.However make sure not to make foamy. Add sugar and Dissolve. 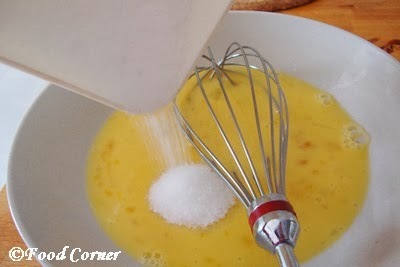 then gradually add milk.Mix well. Strain through a strainer to make it smooth. 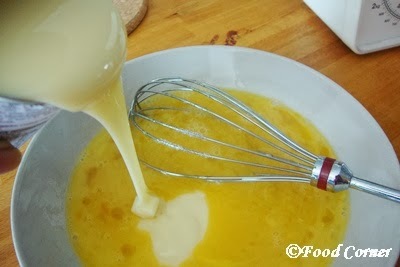 Now pour the egg mixture into the caramel coated mould. 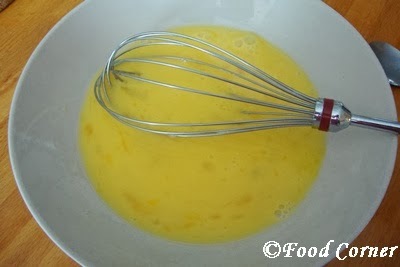 Place the pudding mix in the steamer. Close with lid. Steam for 20 minutes. 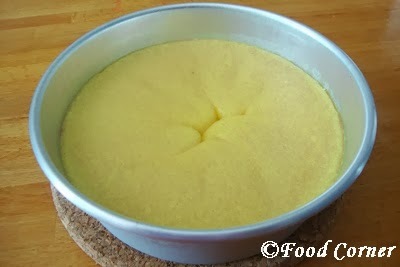 After 20 minutes, press the pudding gently .The pudding is done when the top is firm when pressed. I used a tooth pick and insert it through the edges and removed the pudding from the baking pan.Before serving, place a plate over the mould.hold firmly and turn over gently. 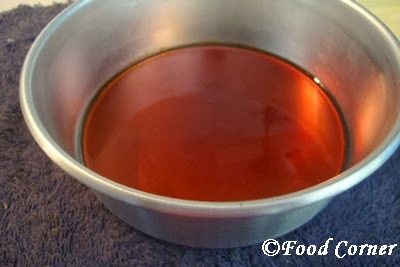 The pudding will turn over onto the plate with caramel side up! 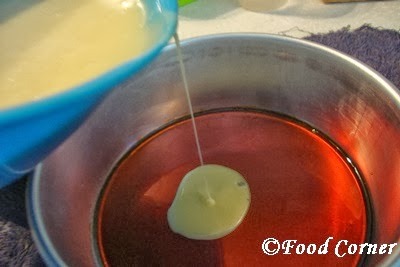 Now pour some of the remaining caramel over the pudding and serve it. 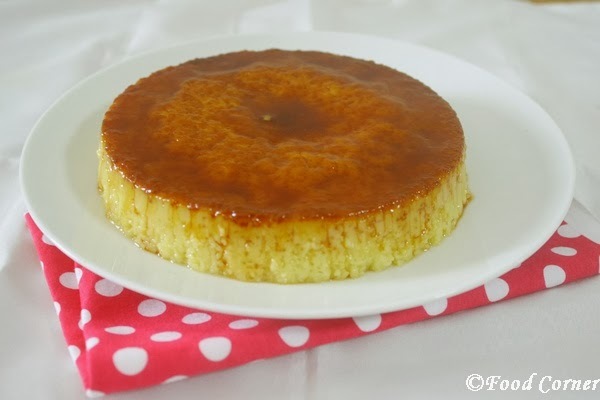 Without using a steamer,you can steam the Caramel Pudding in a pan. You need a pan with a lid which is bigger than the pudding mould. Place a dish towel/piece of cloth in bottom of the pan. 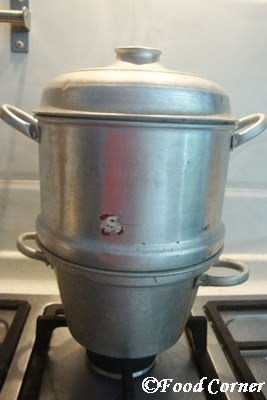 By this you can gently steam the Puddings.Cover the pudding mould using an aluminum foil. Then place the pudding mould on pan. Slowly add hot water to the pan just about a half-inch from the bottom of the pan. Cover with the lid. Then cook on low for 20-25 minutes. 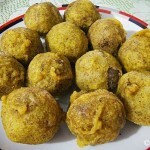 I prepared another Sri Lankan pudding-Watalappan using this method.Please have a look. the photo kills me 🙂 thanks for sharing this delicious recipe!! This looks delicious Amila! I might be slightly addicted to caramel! I am pinning this one. Pudding looks awesum……. Perfectly made !! Hi Amila, I love your caramel cake, it look so good. Well done! Thanks for sharing your wonderful recipe. Looks so good Amy! How is the little one doing? pudding looks so delicious.very tempting. nice clicks. Fingerlicking good, it is in my to-do list, very lucious indeed. No wonder it’s a popular dessert, it looks fantastic!! I’m not a big fan of desserts and sweets either. Yet caramel just rocks me down. Fabulous and hoping I can try out soon. Your Caramel Pudding looks fabulous, we will just love this rich and creamy dessert. Happy St. Patrick’s Day to Ya and thanks so much for sharing your awesome post with Full Plate Thursday! Pudding looks tempting and yummy!! Looks very appetizing!!. 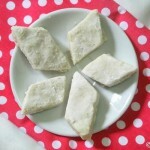 I made one similar, with vanilla and some other ingredients, like milk and fruits. Very inviting but I shall do away with the sugar. Love the idea of steaming and it definitely made a big impact of the outcome. Thank you so much Mrs.Amila. I made it yesterday and it was delicious. ?